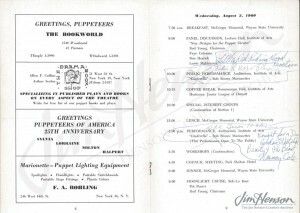 Notes in Jim’s program indicate his interest in several performances, and he jotted down the title of a recommended book, Puppet Theatre Production and Manipulation by Miles Lee. 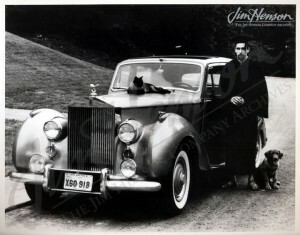 Perhaps the most important part of this festival was the people that Jim encountered there. Burr Tillstrom, creator of television’s Kukla, Fran and Ollie, befriended Jim and Jane there – a thrilling moment for Jim who looked at Tillstrom as the most important puppeteer on television. He met Tillstrom’s colleague, puppet builder Don Sahlin, who Jim would recruit for The Muppets two years later. And in the front cover of his program, Margo Rose noted the contact information for her and her husband Rufus, best known as the puppeteers of Howdy Doody and his friends. The Roses would become close friends of the Hensons, and they would share happy times together over the next two decades. Learn more about Burr Tillstrom and Don Sahlin. Jim with his Rolls Royce on his graduation day, 1960. 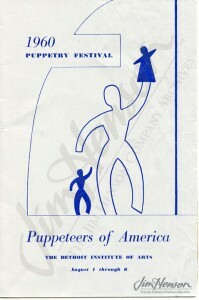 Cover of the 1960 Puppeteers of American festival program. 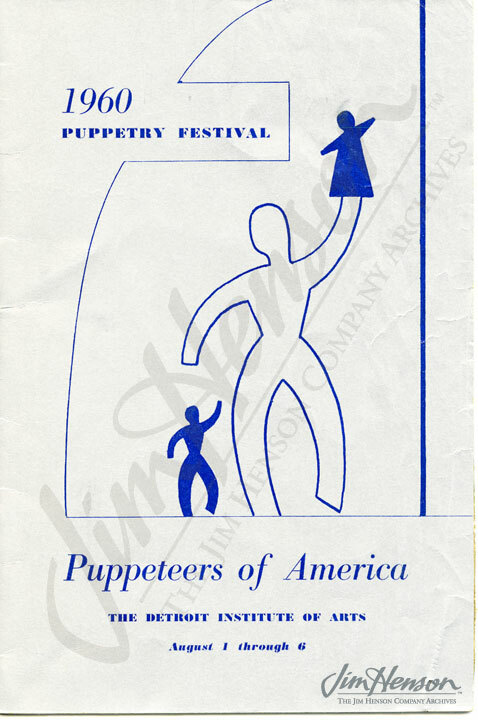 Event listings in the 1960 Puppeteers of American festival program with Jim’s annotations. 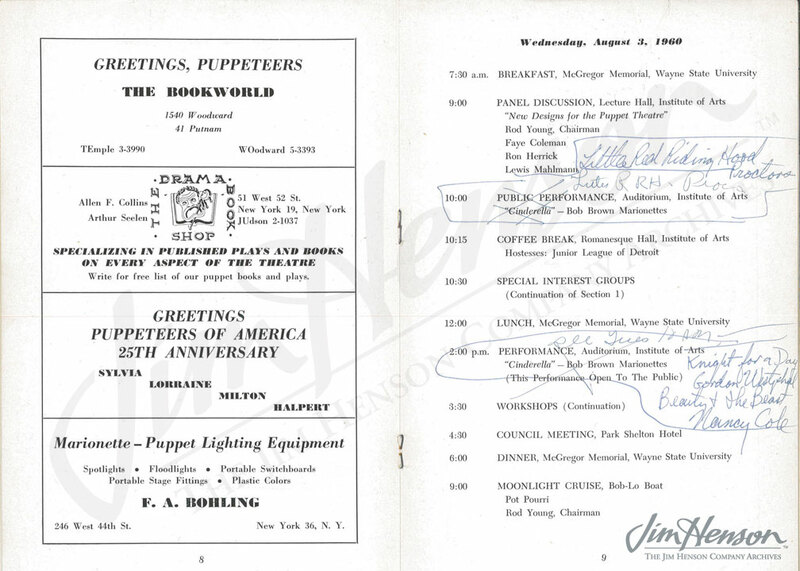 This entry was posted in 08-August '60, 1960, Appearances, Family, Social and tagged Burr Tillstrom, Detroit, Detroit Institute of Arts, Don Sahlin, Howdy Doody, Jane Henson, Lisa Henson, Puppeteers of America Festival, The Muppets. Bookmark the permalink.